One way to improve performance of a database system that performs many reads compared to writes, such as a CMS, is to use primary-replica database replication. 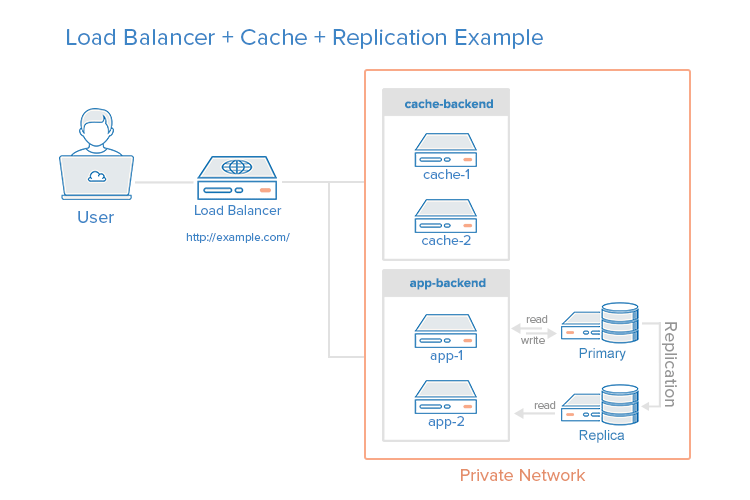 Replication requires one primary node and one or more replica nodes. In this setup, all updates are sent to the primary node and reads can be distributed across all nodes. This environment still has two single points of failure (load balancer and primary database server), but it provides the all of the other reliability and performance benefits that were described in each section above.